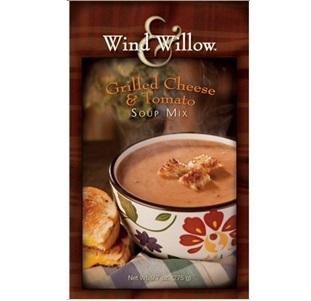 Grilled Cheese and Tomato soup is reminiscent of a childhood favorite. Easy to prepare and super tasty! Garnish with buttered croutons or grilled bread pieces. Or serve with a grilled cheese sandwich to bring out your inner child! Combine mix with 6 cups of water. Bring to a boil. Reduce heat and simmer for 1-2 minutes, stirring occasionally. Serve.